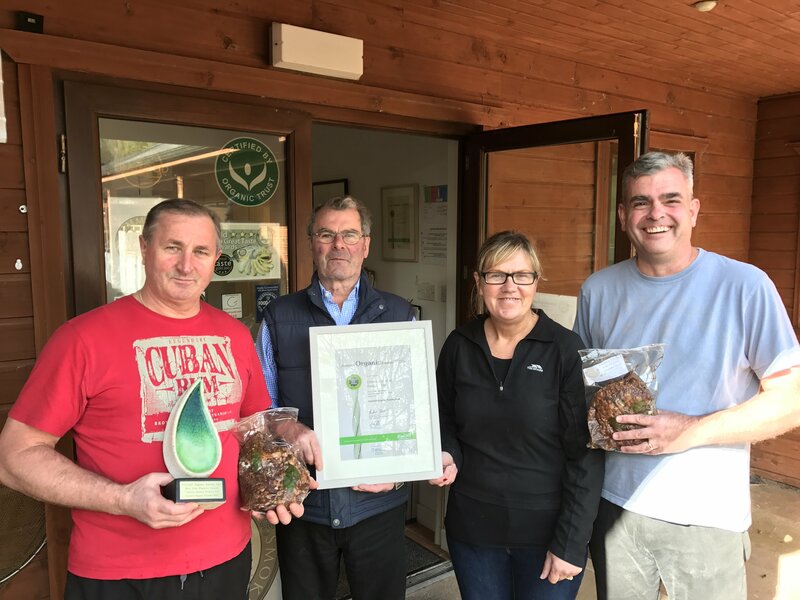 The brilliant team at Ummera: Andrew, Jonathan, Sheila and Steve with the award for the Best New Organic Product of the year! The latest figures from Kantar Worldpanel indicate a significant upturn for the Irish organic sector. Building on the momentum of last year’s growth of over 6%, the new figures, published by Bord Bia today, show a further year on year increase of 23.7% to bring the total value of organic grocery sales to €142 million. Following rigorous judging of some 278 individual products, a record high level of entries, seven organic food companies were selected as overall category winners. Two Leitrim food businesses were among the top seven. 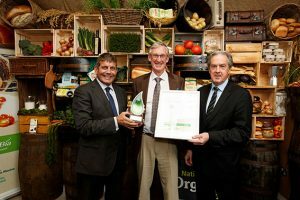 The Organic Centre, based in Rossinver, won Best Fresh Product Award for its Organic Salad Bag, a selection of mixed salad leaves with edible flowers and herbs, which the judges noted was a clear winner as it “simply epitomised organic”, while the Best Prepared Product Award went to Drumshambo’s Blake’s Always Organic for its Culture Blend Coffee. 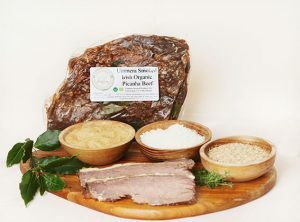 Based in Timoleague, Co.Cork Ummera Smoked Products won the Best New Product award for its Smoked Organic Picanha Beef made using the rump cap cut of beef, which the judges noted as “exceptional”. The business, a smokehouse in operation for over 40 years, currently supplies the product to a number of hotels and restaurants nationwide. Flahavan’s Irish Organic Porridge, which is exported to over 11 countries including UAE, Russia and South Korea, was awarded the Export Award. Other deserving award winners today included Highbank Orchards in Kilkenny, whose Orchard Syrup picked up the Chefs’ Choice Award, a new category for 2016, for its versatility in the kitchen; Mulberry Meadow Organic Farm based in Monaghan won the Innovation Award for its My Organics Living Salad – Salad Bowl Mix. The judges considered the “vibrant” product as unique within the sector. 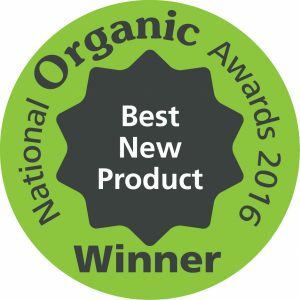 Finally, Galway’s Green Earth Organics received the Direct Selling Award for its 100% Irish Veg Box, which the business sells online making it easy for shoppers to access locally-grown, organic produce. Anthony Creswell receiving the award from Minister of State, Andrew Doyle, and Aidan Cotter, CEO of Bord Bia. Meanwhile, on the domestic front, almost 94% of Irish shoppers are reported to purchase organic goods, on average once every two weeks. According to Kantar data, Irish consumers are making more organic purchasing trips, with organic becoming more accessible with smaller pack formats and more affordable organic products on offer. Established by the National Organic Plan under the auspices of the Department of Agriculture, Food and the Marine in collaboration with Bord Bia, the objective of the National Organic Awards is to recognise the achievements and raise the profile of Irish organic food and drink manufacturers and growers. 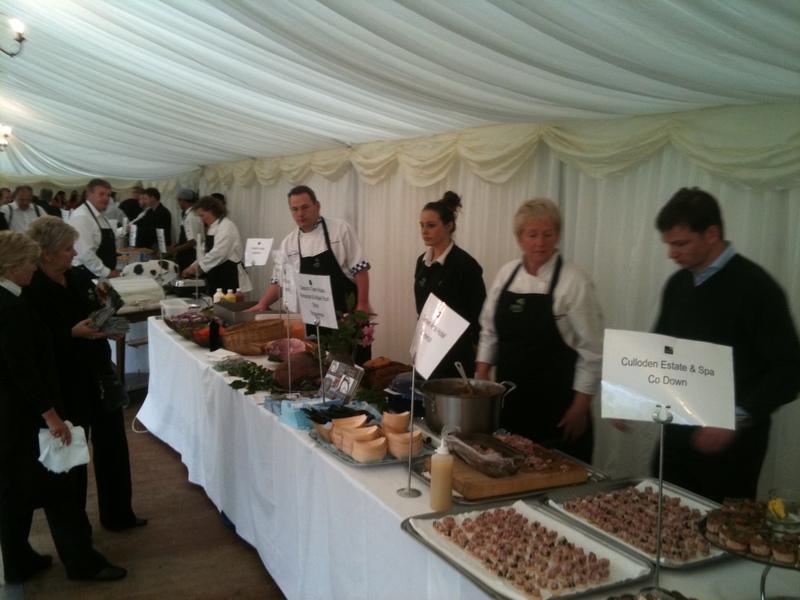 Now in their 8th year, the awards are recognised as an important fixture for the organic food and drink industry. With 38 days to go before Christmas, we thought that the following information would be helpful for you. 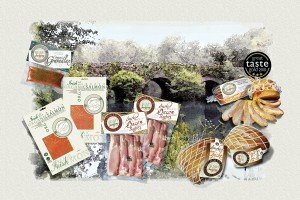 Firstly as Christmas falls on a Sunday, we will be endeavouring to make sure all orders leave the smokehouse on Monday or Tuesday the 19th and 20th as last deliveries both within Ireland and overseas will be on Friday 23rd. If they are not delivered on the 23rd, the next delivery date will be Wednesday the 28th. Normally, deliveries take 24/48 hours, but with the expected worldwide boom in direct deliveries, we need to allow an extra day to cover any challenges. Secondly, Monday January 2nd is a holiday and no shipments will leave here until Tuesday 3rd. With a three day week followed by a four day week, it is going to be very challenging to smoke product for you all, so we would appreciate if you can give us plenty of notice of your requirements!! We will endeavour to make sure that our couriers deliver to you on schedule, but they will be very, very busy next month so please ensure that the addresses are correct, with postcodes if possible, and a suitable contact number for the recipients. For overseas deliveries, an email will be sent to the recipient alerting them of a delivery and giving them tracking details, so please let us have a contact email as well as a phone number if you can. We hope the above will help make sure that your order is delivered on time. A few months ago we were asked by Dermot Gannon of The Old Convent Country House, which is nestled at the foot of the Knockmealdown Mountains in beautiful County Tipperary to smoke some organic angus rump caps for his enterprise, The Confit Company. 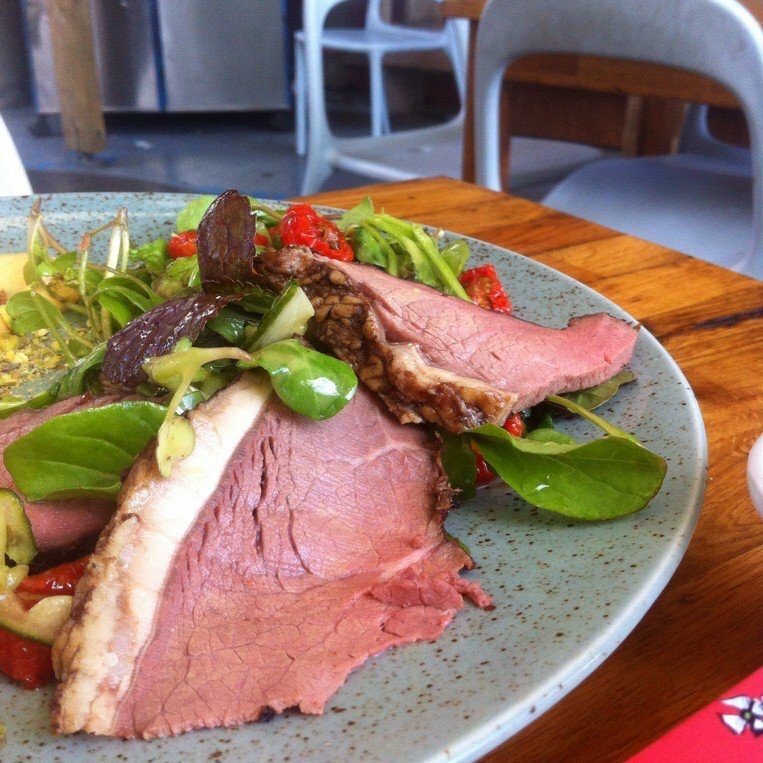 The beef is grown on the farm of John Purcell of The Good Herdsmen at Boherlann near Cashel. And so we did. We tried cold smoking first but felt it wasn’t really what we were looking for (judging by the reaction at home!!). 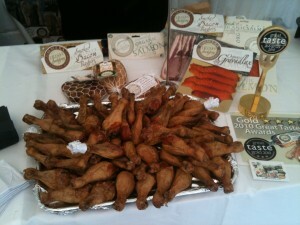 We then hot smoked a batch and took a sample with us to the Ballymaloe Lit Fest in May. As luck would have it the first two people to taste it were people whose judgment I have great respect for, and they oooohed and aaaaahhed about it so much that I had to try it myself! Quite superb – and it helped that the kids definitely approved of this batch! 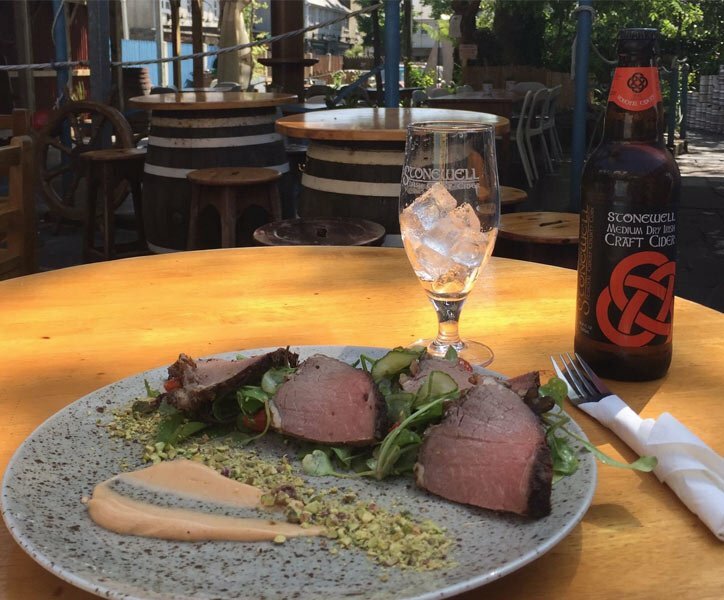 The Rump Cap is a highly regarded cut of beef in Brazil where it is called Picanha and we have adopted the name, despite people saying it should be Irish, to which we reply “and what about Entrecote Steak?” It also adds uniqueness; I mean have you ever heard of Irish Picanha? Probably not! Over the past couple months two local restaurants have used it with great success, Monks Lane in Timoleague and Scannels Bar in Clonakilty. It is available in whole pieces with weights varying from 1 kg to 1.5kgs and should be sliced thinly and served with a fresh salad and a light dressing or subtle horseradish sauce. Because they vary in weight, it is not a product that we will be selling off our website, but if you are tempted, please email us. A Day in the Life of ……. Good Food Ireland started a series of blog posts recently interviewing some of their members for their “Day in the Life of …” series. Ruth Healy of Urru Culinary Store in Bandon and Peter Ward of Country Choice in Nenagh were the first two candidates and I was the third. You can read all about me here!! The latest person is Eimantas Zvirblis, the fishmonger at Donnybrook Fair’s outlet in Malahide! Are You A Technophile or Technophobe? I think I was always ahead of the posse in many ways when it came to using technology for the business. Ummera had a website long before many other businesses did. It was a great tool for communicating what we were doing to our customers, and keeping in touch with people in an inexpensive and efficient way. So I would have kept up with buying the latest computer technology and smartphones from that point of view, because there’s no doubt they do have a place. But I must admit these days it’s all gone beyond my original needs! I don’t have the time or the brains anymore to devote to learning new platforms. I am happy with what I have now and don’t feel the need to wait for the next iPhone to come out! I am, of course, waiting impatiently for the new iPhone 7 so please disregard the last sentence! I’ve been to Cork, Bandon and Clonakilty trying to get one. Where are they? Coincidence and a Smokehouse Tour! We had an email yesterday from a friend and customer from Waterford saying that a couple of days ago he was listening to The Right Hook, a current affairs program on Newstalk Radio, and heard Ummera Smokehouse mentioned, along with Stonewell Cider, my brother-in-law’s very successful craft cider business. Curiosity grabbed me and I tracked down the Podcast of the show. The only relevant one was entitled “Manchan returns, and takes George to Irish breweries”, relevant because of the Stonewell Cider connection to craft breweries. Manchan Magan stood as a Green Party candidate in the recent General Election and is a broadcaster on travel on The Right Hook. However, in yesterday’s programme he was talking, after a few minutes discussion on his Election campaign, about Craft Brewery Tours in particular and he mentioned Mia Tobin of Brewery Hops, a small group tour business specialising in such tours. 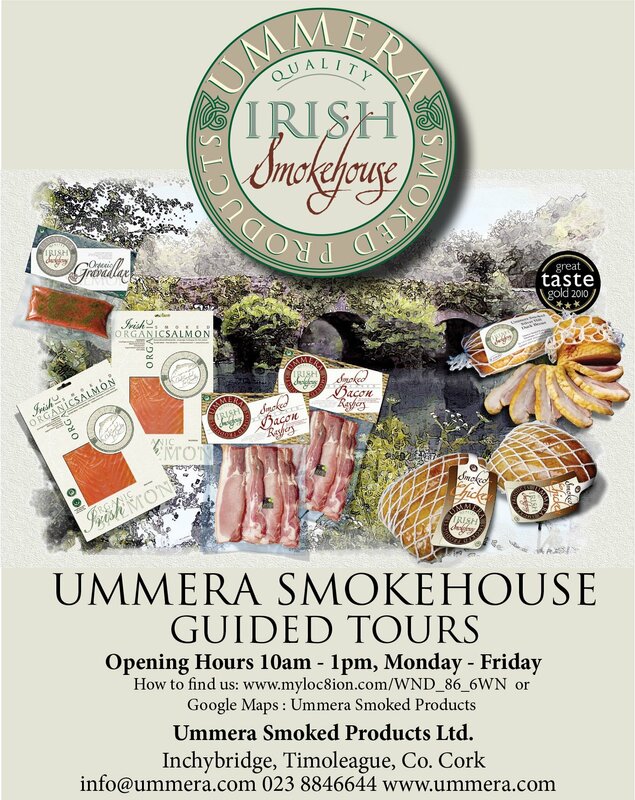 And Manchan mentioned Ummera Smokehouse as one of the stops on their way from Kinsale (home of Stonewell Cider and also Blacks Brewery) to Killarney! Last year we were very happy to receive several groups with Mia for a smokehouse tour. One of the visitors came from Hawaii and we were more than happy to send her a side of smoked salmon in September! The last time we sent something to Hawaii was smoked eel in 2011 just before they became an endangered species. Read about it here! There was also a couple from Italy who were setting up an Irish Country Pub in Liguria and were planning on serving up real Irish food. Now this is where the Coincidence comes into play because a few hours after the Right Hook show, and Manchan and George had finished talking about brewery tours, lo and behold we received our very first order from Sabrina and Eugenio in Liguria, Italy! 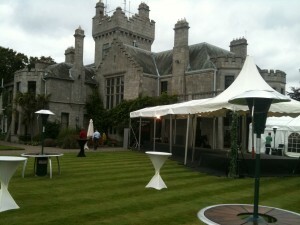 Do you really believe that they were listening to George Hook and Manchan Magan yesterday? Listen to the podcast and all about Irish Craft Beers by clicking here. 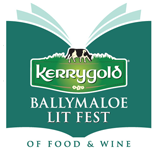 This weekend Ballymaloe House and Cookery School in East Cork plays host to an amazing gathering of food and drink lovers at the secondBallymaloe Literary Food and Wine Festival. You will find us in The Big Shed! Look out for a large orange umbrella – we will be underneath it, tempting you to a taste! ‘Smoked Salmon – with a glass of wine, or a Ball O’ Malt or artisan cider?’ – talk and tasting with Dave Broom, Whiskey Writer, Leslie Williams, Wine Writer, Daniel Emerson of Stonewell Cider and Anthony Creswell, Smoked Salmon producer – includes smoked salmon tasting with wine, whiskey and artisan cider. Do you have your favourite drink with smoked salmon? If you do, please let us know what it is before this Sunday, May 18th. Whoever has the most original suggestion will have a side of our Smoked Salmon sent to them to enjoy with their recommendation! 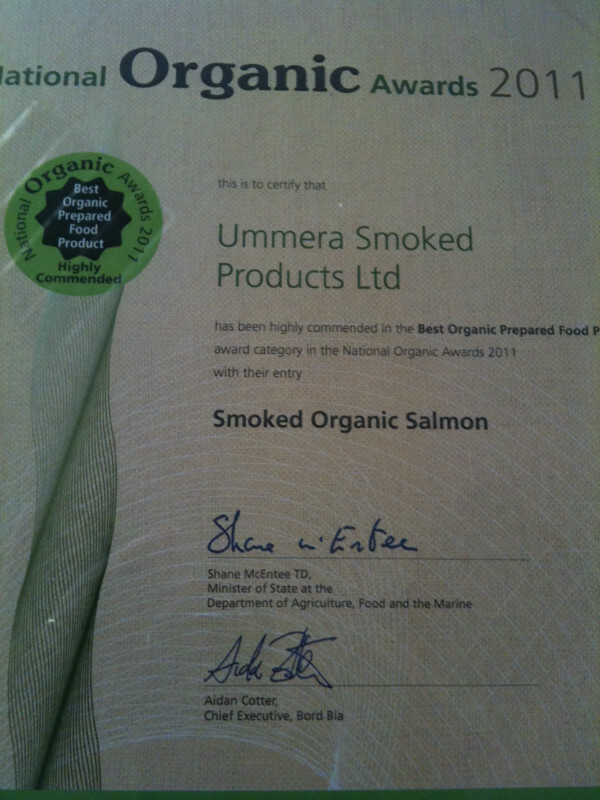 Ummera Smoked Products, a small but highly regarded producer of smoked salmon, smoked chicken & other products, has a vacancy for a part-time office administrator, 3 mornings per week. Responsibilities will include general office duties, contacting customers, taking and making up orders to despatch stage, general accounting and data entry. Experience in using Sage is desirable as is a knowledge of accounting practices. Must show a basic competency in website applications, social media and IT. The role also involves active participation in the preparation of our products for despatch. A keen interest in artisan food is an advantage. Please email info@ummera.com with your CV and we will send you a more detailed job specification. Position Type: Part Time: 5 day flexible schedule 9am-1pm. Hours are dependent on business demands with a minimum of 20 hours per week. Pinboning, trimming and slicing smoked salmon. Brining, smoking and packing other products, chicken, duck and bacon. A knowledge of HACCP and Basic Food Hygiene is advantageous but full training will be given. Ummera has one full time Manager, one part-time admin/office staff, two processing operators and additional staff at peak periods (ie Christmas). We are a very small family company and we all tend to lend a hand in whatever area when needed. Please email info@ummera.com with your CV. 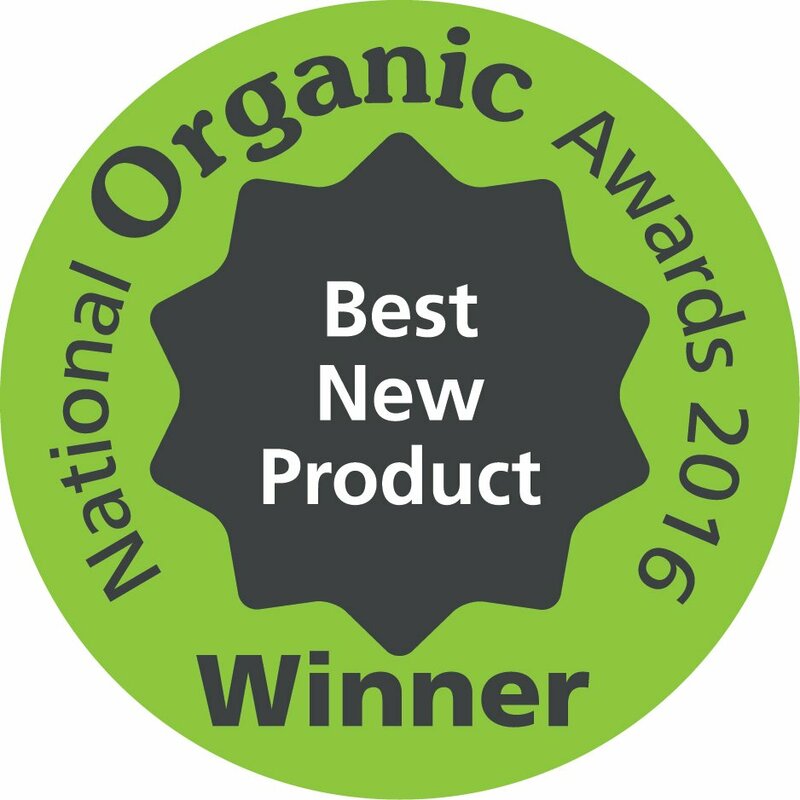 News just in that Ummera has been awarded a Highly Commended in this year’s National Organic Awards in the “Best Organic Prepared Food Product” category. Having spoilt some of Dublin’s citizens with our smoked drumsticks, we felt it was only fair that we should let our locals try them as well. So today, Saturday, September 10th., you may find – if you are early enough – the following locations offering you the chance of tasting something rather special! Make it Smoked Chicken Drumstick Day! !